David Warden is an internationally recognized coach and author. His current and former clients include World Age Group Duathlon champions, Guinness World Record triathlon holders, and multiple Ironman full and 70.3 World Championship qualifiers. He is the co-author of Triathlon Science, the industry standard text for triathlon coaches and academics, and co-author of 80/20 Triathlon with Matt Fitzgerald. David is the host and producer of the syndicated podcast Tri Talk. 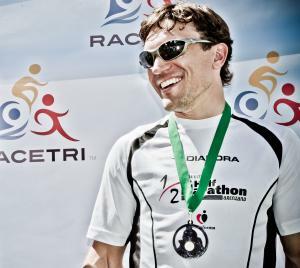 His personal athletic resume consists of 40 first place overall wins in triathlon and duathlon, including the 2-time USA Triathlon Rocky Mountain Region Sprint Triathlon Champion (overall, 2011 and 2016) and 2nd place USA Triathlon Age Group Duathlon Nationals. He has finished as the top American at the Mallora 70.3, Abu Dhabi International Half, and Balearic Olympic Championships. David has qualified multiple times for the Boston Marathon and Ironman 70.3 World Championships. Success. Coach David Warden has been notified of your message.